I wanted to showcase the new In Colors and mate them with an old color in the same color family. 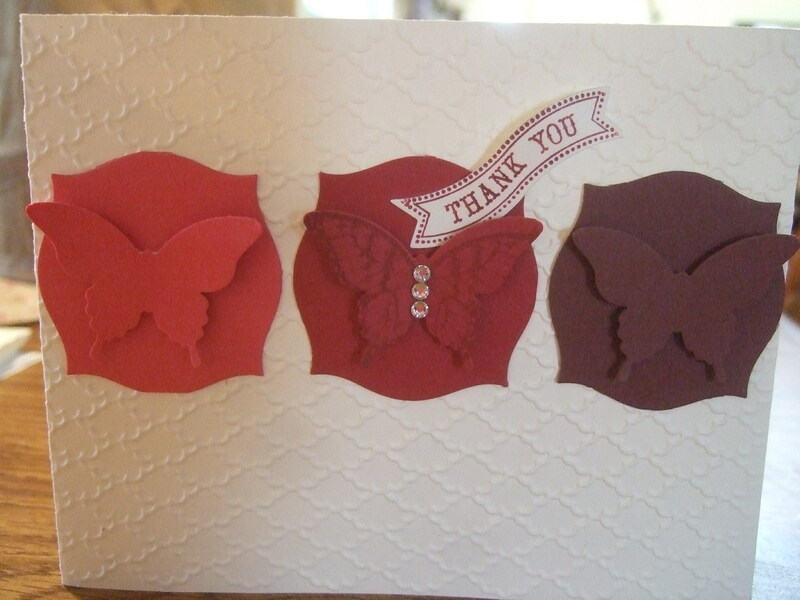 As a bonus all the cards feature new Stampin Up product as as well. Each card is using the new Apothecary Accents framelit #127003, the Bitty Banners Framelits #129267 and the coordinatinating Itty Bitty Banners stamp set #126257. All have the new Elegant Butterfly Punch #127256 and the middle butterfly is stamped with the coordinating Papillion Potpourri #123759 stampset. 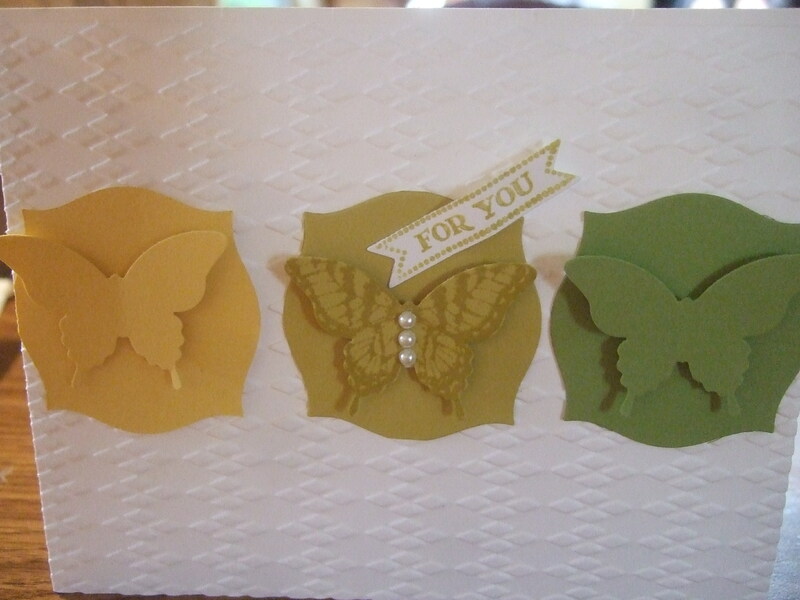 In each sample the middle butterfly is the featured in color. In the Green family above the colors are Wild Wasabi, All New Gumball Green and Garden Green. Following the same method as above but using the red family the colors are Riding Hood Red, All New Raspberry Ripple and Bravo Burgundy. Next color family featured is the pink tones with Rose Red, All New Primrose Petals and Melon Mambo. Unlike the Reds being very different the pinks are similiar but a warmer tone than the Rose Red and softer than the mambo. 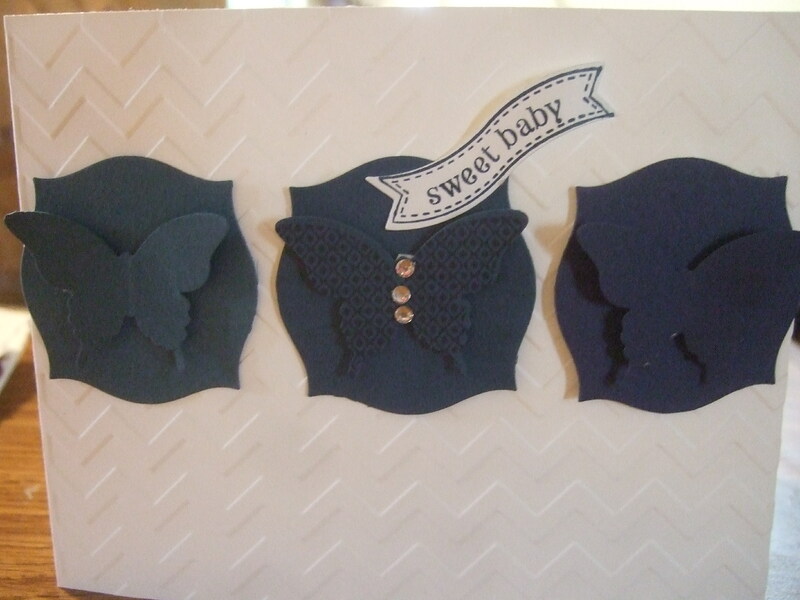 Next are the blues and I was very excited that Stampin Up was bring a new blue to the table because the blues were lacking. I must sty though that these are super close. First blue is the Not Quite Navy, then the All New Midnight Muse and the Night of Navy. The Midnight Muse is deeper than the Not Quite Navy and richer than the Night of Navy. Saving the best for last is the Summer Starfruit in the middle and to the left daffodil delight and lucky limeade to the right. 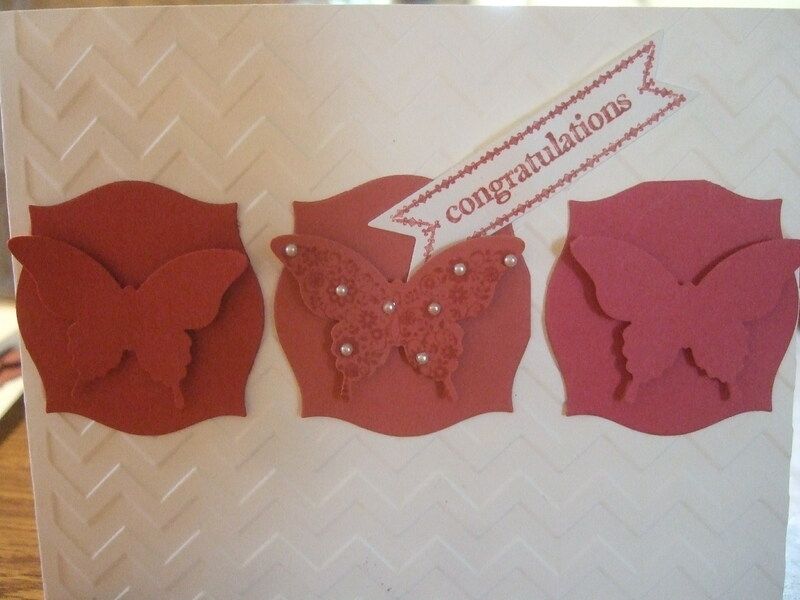 I hope you have enoyed the introduction of the new colors in the Stampin Up family because they will be around until 2014. 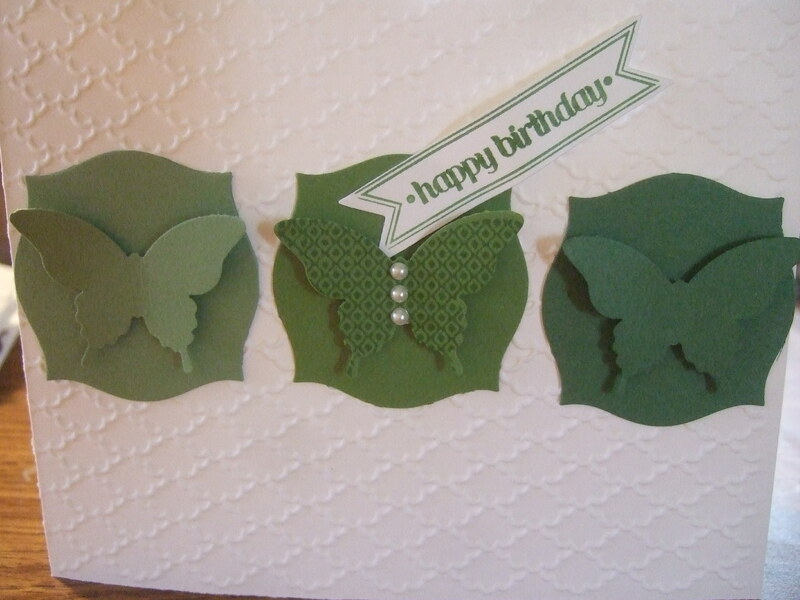 OOps I also forgot to mention that the whisper white cardstock was embossed with one of the 3 new embossing folders.